Boat Life Style-Premier Marine: Premier Marine Goes to Europe! Premier Marine Goes to Europe! If you've been to our Point Piper Office you will notice a similar image on our wall. Yes, Steve and I are big fans of Cinque Terre, the 5 villages, which is the best destination for getting over jetlag! There's business perks and then there's Premier Marine business perks. 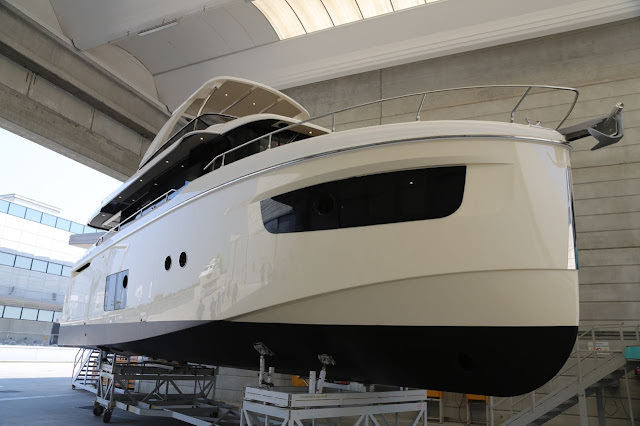 Leading up to the Sydney Boat Show, we jetted off to Italy to attend our first Absolute Yachts Dealer Conference. 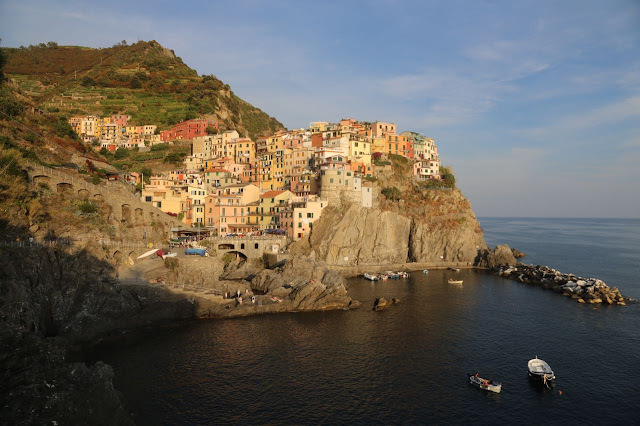 Of course, jetsetting half way across the world, it would be crazy for us not to stop off at a few of our favourite european destinations, not to mention finding a few new places to add to our list. We took a little time to explore Venice, Croatia and Meteora in Greece and enjoyed created life long memories, with most of our adventures based around boating on our much loved euro brands. 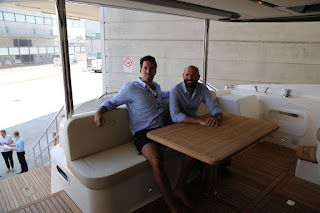 Our first stop, after 2 days overcoming our jetlag in Cinque Terre, was attending the Absolute Yachts Dealer Conference, where we were able to spend quality time with Cesare, the owner of Absolute Yachts, who are making huge waves around Europe and beyond. 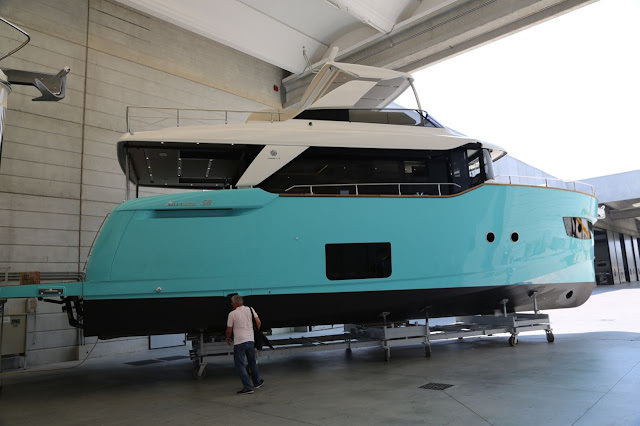 The highlight for us was definitely viewing the newly released Navetta 52 and 58, which are now boats right up the top of our list to get onto our Australian shores. After 5 days in Croatia, no phones, no internet, no stress of any kind we jumped back on dry land. It was bittersweet as I would've loved to have had another week of exploring and feeling like a modern day boating gypsy. 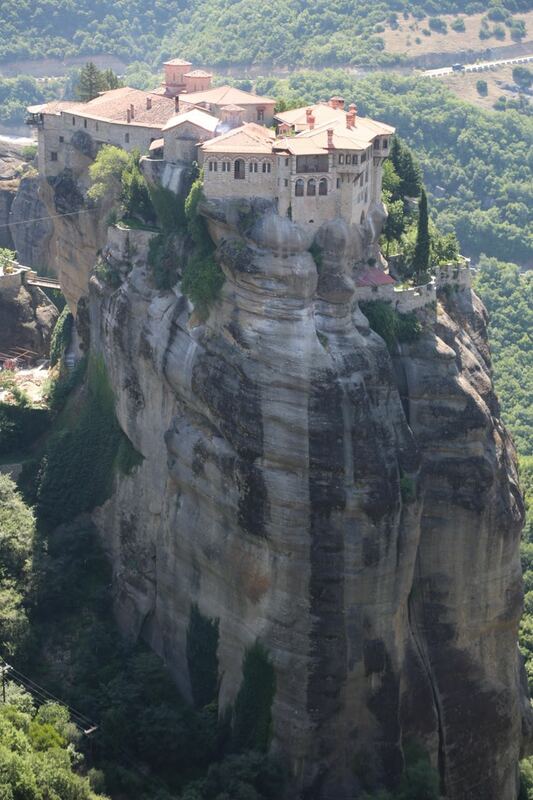 Next stop (and our last stop) was Meteora in Greece. For anyone visiting Greece, this is a must see! You will be absolutely mesmerised by the sight of these monasteries dating back to the 11th Century. Not to mention the amazing and incomparable energy that promises to touch your soul like nothing else. Of course there's no place like home. 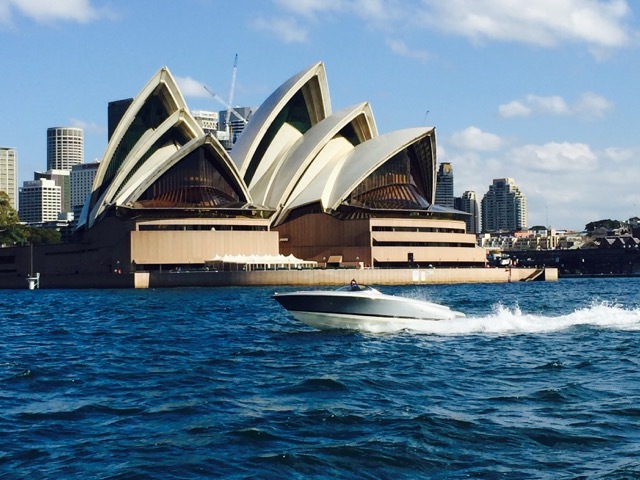 My favourite way to get over jetlag is jumping on a Chris Craft and cruising on Sydney Harbour. Yep, there's no place like home and no boat quite like a Chris Craft!